2012: Doomsday for DVD Kiosks? 2012 could be an apocalyptic year for DVD kiosks if analysts from investment banking giant J.P. Morgan are to be believed. In an recent report, the analysts say that the day of judgment for kiosks, which is fewer than two years away, will be ushered in by streaming and VOD after kiosks peak in 2011. Will DVD kiosk doomsday come in 2012, Insiders? Just how close is digital distribution to tipping the scales once and for all? I don’t think VOD will take over. ISP cap bandwidth some IPS cap at 40GB a month. Someone could go though that in a week if they watch enough movies on On Demand. Comcast caps at 250GB even that isn’t that much if you rent HD content. Also the studios control the the content On Demand so they pick the prices the studios are greedy so they will always be way over price most movies are $5. Until ISP stop capping bandwidth and the prices are fair VOD will never take over $1 rentals. more importantly can be backed up and copied. thus pirates will stay with disks. only the industry stopping disks and copying can do this. for dvd they cant … it is too late … but the format has peaked and is on its way out technologically. bd’s are on the way up the ladder with 3d coming on strong next year. this is why cinavia has emerged. it is to stop the copying of bd disks! change to VOD market penetration. the analyst at JP needs his head examined. Unfortunately or Fortunately (depending on how you look at it), nothing is every truely secure. Cinavia will fall where every other kind of DRM falls. It can be cracked, it will be cracked. No exceptions. It might take awhile, and may slow some things, but nothing like that lasts forever. There is always a way around. Portable Read-Only media of any type is never, and will never be perfectly secure. I highly doubt “NEVER” with anything, especially VOD and streaming which will certainly be the way the majority of people get their media in the future. But lets be clear that majority doesn’t mean physical media will die. I think physical media will still have 25% of the market in 2020, but will fall to less than 50% by 2015. I doubt more than 5% of the video market cares about whether stuff can be backed up and copied, and I doubt more than 1% of the market has ever downloaded a Blu-Ray quality movie from anywhere. So pirating has little influence on the ratio of physical to streaming media. All of these numbers an heavily dependent on what and when the studios allow to be streamed on Netflix. If the studios go day and date streaming on Netflix, then physical media will crash and burn to 25% of the market very quickly. If they hold their streaming price point at $4-$6, then physical media will continue to dominate. i get free rentals all day from red. and bb express blue. i pay .5 for blu-rays . how the hell is anyone with VOD going to offer me quality, and less $, and simplicity as inserting a disk for .5 or less a movie!!! if i want movies VOD i can download them off the internet. but i dont. i dont trust and like the quality. i can do better getting it free from the boxes. the internet i already must pay for. i get 25MB/s downloads included in a package deal. i cant use this bandwdth unless i download newsgroup data. then max the line but that fills harddrives fast. 1 month of 25MB/s day and night is a TON of movies even BDs. a perfect CD no compression downloads in 4 minutes. it take 60 – 70 minutes to listen to that. see the problem. work too, but is guaranteed to get things very fast. I want quality … i already have quanity. VOD offers me nothing!!! Kiosk profit margins are razor slim. If VOD takes just 10% pf the kiosk market away, then kiosks are doomed. That is the real issue. But store margins are real fat right? VOD buys are way up YOY and over two years ago. Ain’t like VOD is new. Not sure you’d recognize a real issue if it came over and tapped you on the shoulder. This analyst is out of touch with how consumers are behaving. VOD would have to be priced much lower for the 2012 prediction to come true. For many reasons I don’t think pricing is going down. With both redbox and netflix keeping physical media cheap and convenient the impeteus to use VOD just isn’t there. I’m not looking to replace my DVD library anytime soon so my DVD player isn’t going till my DVDs stop working. Big digital 8 to 10 years away IMO (provided that new form of physical media doesn’t make it even longer). You better go back to the Coinstar ( CSTR ) Investors Yahoo message board. The stock is tanking really bad today. The Market fluctuates. It’s a long term investment for me. Lotion of the month is a better investment for you I guess. Redbox is all about the lotion FLON. Don’t kid yourself. 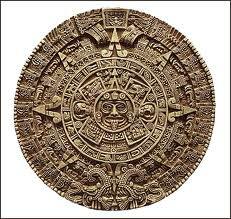 I like the Mayan calendar image reference! Until the majority of people get high-speed internet that is both affordable and dependable, discs aren’t going anywhere. Not a chance this story is correct. DVD format will still be popular for a couple of years, Blu-ray will be popular for many years to come. Look at the # of people who don’t even have internet yet, and they think that VOD will take over in 1-2 years? Yeah right. People have been saying this for a decade. The high-speed internet penetration in the U.S. still has a LONG way to go before we’re even close. Why would I rather pay $4-5 for VOD when I can pay $1 or $1.50 (blu-ray)? I have cablevision, amazon on demand and Playstation network and the prices are way too high. Plus, we can get promos for redbox for free rentals. I gave up on netflix (joke of a streaming movies) and blockbuster/hollywood video because nothing can really beat Redbox. Tell me when VOD costs $1-$1.50 per movie and/or put out blu-ray quality. Yes, I think VOD will take over in 2012, just like 3D TV has taken over TV sales in 2010.
movie in SD, do to bandwidth problems and that’s with my 10 megabit connection. And lot’s of stops to re buffer the video stream. I can’t imagine 5 years from now, when a lot more people will be streaming. Certainly streaming video rentals is the long term future for the majority of users. I don’t think 2012 with be a banner year though. I see more like 2015 as the year that stream video exceeds physical media sales and rental in quantity. I do think that it is going to take to way past 2020 till physical media sales and rentals get below 25% of the market based on quantity. This is because physical media just has so many advantages over streaming: portability, quality, longevity, etc..